Dallas, TX - MetroAir today announced plans to retire the last of its 8 Bombardier Dash 8-Q200 aircraft from the fleet by May 1st 2019. The Q200 has been the backbone of the airline since it launched service in January 2006. William Hogarth the airlines CEO said "The Q200 has provided thousands of commuter connection flights across the airlines expansive network for more than 13 years but the rising operating costs and decreasing popularity among passengers has ultimately driven us to this decision"
MetroAir's Q200 love affair began on January 15th 2006 when Captain Ned Carlson operated the very first flight from the airlines original hub, Detroit to Toronto Pearson as MET1023. The first chapter in a 13 year history that has seen over 12500 PIREPs filed. 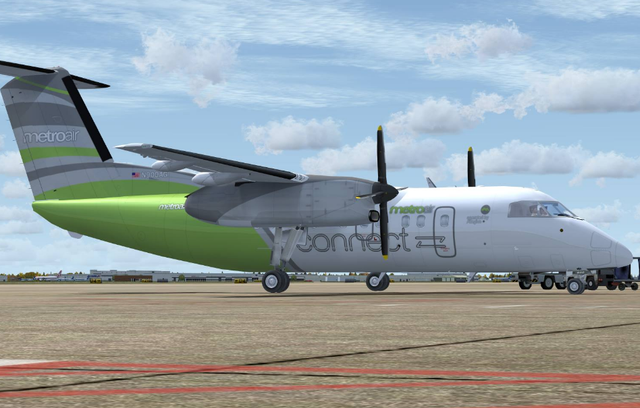 Over the last 13 years MetroAir has operated a fleet 17 Q200s and its short runway capabilities and low passenger configuration has enabled the airline to rapidly expand into smaller markets and provide frequent commuter hops across the country. The Airline has operated the type at all its major hubs in Detroit, Washington, Ontario, Kansas City and more recently at its new Dallas Ft Worth hub. 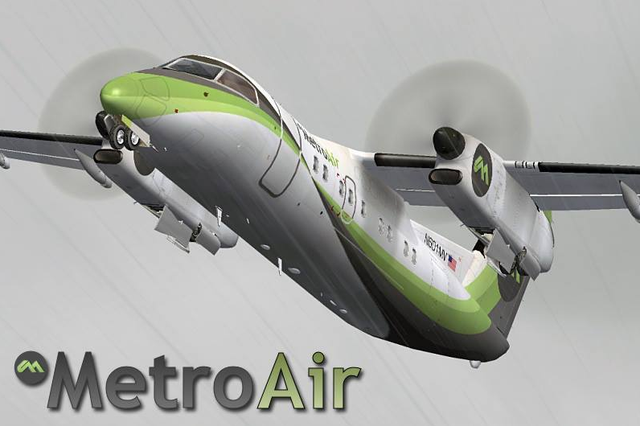 "The plane has stood the test of time for us at MetroAir and its contribution to our history has been invaluable" said Shane Barton the airlines Director of Regional Operations. MetroAir is set to operate its final scheduled flights from Dallas Ft Worth on April 30th, with all Q200 flights transfering to the airlines Q400, E170 & E145 aircraft. The airline will however operate a month of farewell flights culminating in a special flight on May 31st when the final flight will depart from Detroit to Toronto, ending 13 years of faithful service the way it began.